Blog | Is Outdated Technology Costing Your Business Money? 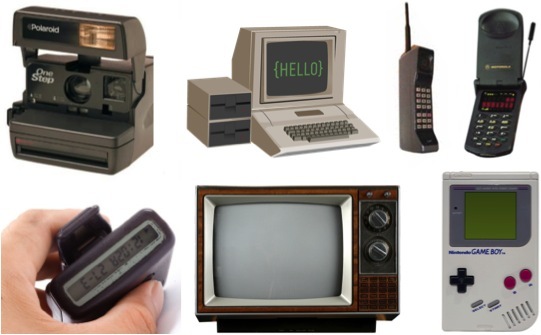 OCT 29 2015Views 185 Is Outdated Technology Costing Your Business Money? If you think staying with the same business technology you have been using for years is saving you money, think again! Not only is this slowing your business down, but if clients, partners, or customers find this information out, they will consider packing up their bags and taking their business elsewhere. Using outdated technology doesn’t only affect the productivity of your business, it affects your reputation. The general public has more knowledge on technology these days than ever. Don’t let consumers get wind that you are using Windows XP or Server 2003, your business will look unprofessional and outdated. We have listed some ways you can assess your current business network to search for flaws due to outdated technology and we will also give you a few valuable suggestions on ways to upgrade your business critical technology. One fast way to tarnish your tech credibility is by using free “cloud-based” email service. This is convenient for personal use or maybe a secondary email incase services are unavailable. When it comes to your primary business email, it should not be hosted by a free provider! This looks very unprofessional. Surveys also show that businesses look outdated if they are using operating systems 5 or more years old. Using outdated operating systems will also slow down production which will impact your bottom line. Most of the times these operating system become so old that they stop receiving critical patches and updates for security. This will leave your business network at risk for security threats. Another important aspect to think about are the workstations on the network. The older these computers get the more prone they are to hardware failures and other debilitating issues which will slow down workflow. You must also consider the fact that there will a be time when clients, partners, or customers will have to visit the office. It will be a huge turn off if they see that the majority of the workstations in the office are running Windows XP and are 5 or more years old. It’s also critical that your business’ website stays up to date and is enticing to consumers. Your website is the face of your business when it comes to attracting new clients, make sure it is always current and presentable. Last and definitely not least is security. This is the most important part of your business network that needs to stay current. There are new threats created every minute, and if your company doesn’t stay on its toes your network will be compromised by a hacker! There is no better way to lose a customer than to have a security breach where valuable data is exposed. On the flipside, updating all outdated technology will improve your reputation. This is a sign that your business is here to stay and is able to adapt to the changing business climates. Paying attention to these technology details will certainly have a positive effect on your business, neglecting them will hurt you.